Hanoi, 1st November 2016 – Apricot Hotel is honored to be announced as the latest winner of the 2016 World Luxury Hotel Award as the best LUXURY BOUTIQUE HOTEL in Vietnam. The awards gala ceremony held in Qatar had paid recognition to hoteliers’ achievement over the past year and provided them an splendid opportunity to celebrate within industry peers. On 29th October, the 2016 World Luxury Hotel Award has named Apricot Hotel as the final winner of Luxury Boutique Hotel category in Vietnam during its unique annual gala ceremony in Doha, Qatar. Kicked off in July 2016 with the participation of major groups and hotel in 5-star segment, the awards are voted for by hotel owners, travelers and industry professions around the world. The successful names achieved their merit by proving excellent service delivery, luxury design and impressive presentation. This Luxury Boutique Hotel Award marked the first international award of Apricot Hotel in its first operating year in Hanoi. “It’s our honor to win such a reputable award only 10 months after our grand opening earlier this year”, said Mrs. Nguyen Phuong Nam, Apricot Hotel’s General Manager. “This award marked Apricot Hotel’s name in the luxury segment and proved our international-level quality of services and facilities”. 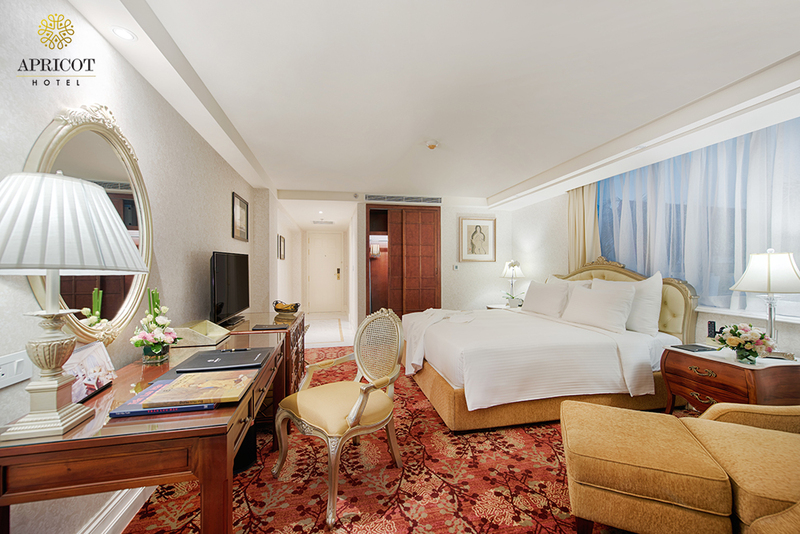 With 123 luxuriously appointed rooms featured original paintings and sculptures by renowned artists, Apricot Hotel is the first artistic hotel in Hanoi that aims to bring guests refined Vietnamese touches and authentic experience. By consistently delivering exceptional service quality in its unique design, in 2016, Apricot Hotel has won the Travelers Choices Award and Certificate of Excellence by the famous travel community TripAdvisor. This site also names the hotel as one of the best luxury hotels in Vietnam, recognizing by travelers around the world.